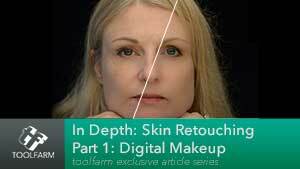 Skin Retouching and Digital Makeup, plus a new freebie! Read Part 1: Digital Makeup HERE. Remember that freebie I mentioned earlier? Well, Mamoworld Tools has a “Name your Price” or “100% Free” (depending on where you look on the page). Mamoworld has great tools like Auto Lip-Sync, BeatEdit for Premiere Pro, iExpressions, Masktracker+, mochaImport+, and more, so check them out. They are super useful workflow tools!